HOLA NUEVAMENTE A TODOS MIS COMPAÑEROS, SÓLO ESCRIBO UNAS BREVES LÍNEAS PARA DESEARLES UNAS PLACENTERAS VACACIONES Y ASÍ TAMBIÉN FELICITARLOS POR LAS EXCELENTES PARTICIPACIONES QUE SUS ALUMNOS TUVIERON EL DÍA DE AYER (25 DE MARZO) EN EL FESTIVAL DE LA PALABRA LLEVADO A CABO EN LA COMUNIDAD DE SAN MIGUEL DEL PROGRESO, HUITZILAN DE SERDÁN. 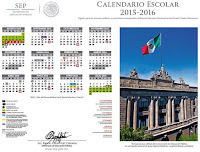 AQUÍ LES DEJO NUESTRO PLAN DE ESTUDIOS 2006 EN UNA SÍNTESIS. HAY VAMOS... Y VAMOS POR MÁS ARCHIVOS. View more presentations from GERMÁN PRADO. EL DOCENTE DE TELESECUNDARIA TE DA LA BIENVENIDA A ÉSTE BLOG. HOLA A TODOS LOS COMPAÑEROS DE LA COMUNIDAD DOCENTE DE TELESECUNDARIA POR FIN ESTÁ AL ALCANCE DE TUS MANOS UN PEQUEÑO PERO UTIL BLOG, EN EL QUE ENCONTRARÁS INFORMACIÓN; ADEMÁS DE QUE SE PONDRÁN A TU DISPOSICIÓN UNA SERIE DE ARCHIVOS DE GRAN, PERO GRAN UTILIDAD PARA TU LABOR DOCENTE: DOSIFICACIONES, LIBROS DEL ALUMNO, LIBROS DEL MAESTRO, AUDIOLIBROS, VÍDEOS, LIBROS DE INGLES COMPLETAMENTE TRADUCIDOS, ETC. 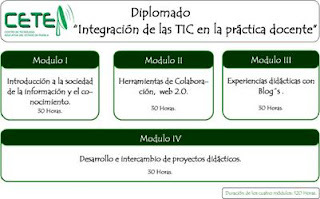 EN POCAS PALABRAS TE COMUNICO QUE ESTE SERÁ UNA GRAN HERRAMIENTA PARA DESEMPEÑAR Y APROVECHAR AL MÁXIMO LOS RECURSOS DE HOY EN DÍA (TIC´S) PARA TU DESEMPEÑO PROFESIONAL. ATTE. EL DOCENTE DE TELESECUNDARIA.